> News > Vikings Dump Moss? What in the heck is going on in Minnesota? 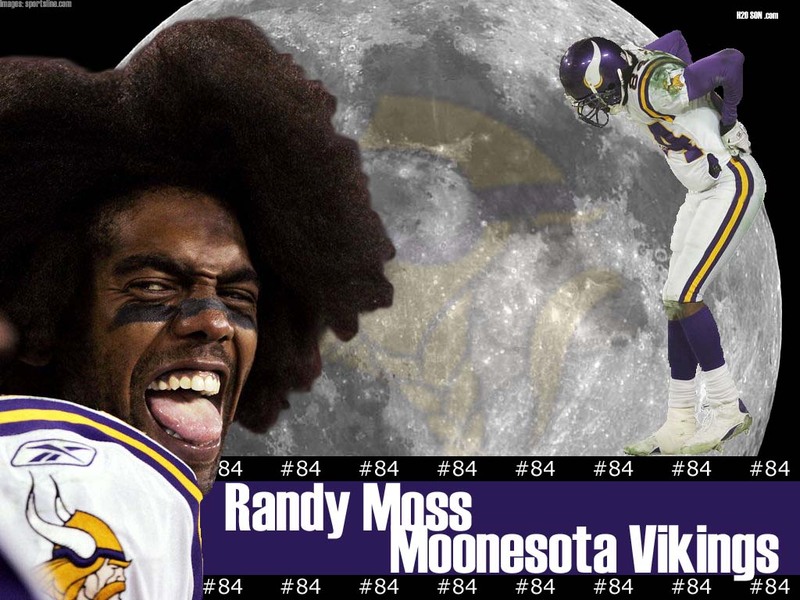 Or maybe the better question is – What in the heck is going on with Randy Moss? I think Randy’s problem is the same problem Terrell Owens seems to have. He thinks he’s the greatest athlete on the planet and that if the ball doesn’t come his way every freaking time that his TEAM is shooting themselves in the foot. I mean, sure, Randy Moss is a great receiver, always has been, and he gets a lot of attention, which frees up other receivers to get the ball. But even so, he sometimes fails to complete his routes when he knows the ball is not coming his way, which causes those safeties to defend the other possible receivers. What I’m saying is that if he would actually complete a route then the attention would stay with him and constantly free up the others…but Randy, just like every other professional athlete, has forgotten what is was to be in love with the game that they have been given the talent and opportunity to play…while getting paid lots of money to do so. You know I sometimes daydream about what it would be like to play one of the sports that I love playing…and how crazy it would be to do that for a living and make lots of money doing so. I think about how grateful and thankful I would be to have that opportunity and about others that couldn’t make it in the sport of their choice and how they would be just as grateful and thankful as well. Then, I see people like Randy Moss and Terrell Owens and I want to set things on fire!! I mean those guys are amazing at what they do, but they’re also amazing at being whinny, ungrateful D-bags…just shut up and play football! !